Mrs. Kayleaser P. Deveaux-Isaacs (nee Moss), is the General Manager of The Broadcasting Corporation of The Bahamas (aka ZNS) with twenty (20) years of broadcasting experience. From 2007-2017 she served as Sr. Deputy General Manager/Programming & Special Projects at The Broadcasting Corporation of The Bahamas. In May 2017, she was appointed Acting General Manager. She is a graduate of Aquinas College, Nassau, Bahamas. She completed her Associates, Bachelor’s and Master’s Degrees while living in New York City and obtained a Diploma from Oxford University, England. She is presently enrolled studying Law at University of London. Before joining The Broadcasting Corporation of The Bahamas in 2007, she worked at Fox News Channel (FNC) in New York City and Washington, DC for seven (7) years, where she produced many live and taped television & radio programmes for Fox News Channel and Fox Broadcast Network, including the Fox Broadcast hit television show, American Idol (Season I). In 2004, Fox News Channel CEO, chose Kayleaser to receive the first Ailes Apprentice Award which was created for rising stars within the company and she was invited as a special guest at Fox News Channel, to celebrate the 10th Anniversary in 2014. In December 2012, she led The Broadcasting Corporation of The Bahamas’ launch team of the revolutionary High Definition (HD) Television System (from analog to digital) and has created several ground-breaking News & Current Affairs programmes. In 2015 & 2016, several of the locally produced programmes she Created & Executive Produced for The Broadcasting Corporation became Local & Regional Award-winning shows. In November 2018, she was confirmed to the office of the General Manager. In late 2018, she and her Executive team began the review for the completion of the Television Digital Upgrade for the Northern Service which is scheduled for completion in May 2019. Mrs. Deveaux-Isaacs is a Broadcast Executive ( Television, Radio & New Media) and straddles the fence as a Performing Arts professional. She is a Director on the Caribbean Broadcasting Union (CBU) Board of Directors and represented the Broadcasting Corporation of The Bahamas on several local and international committees. She is a member of Screen Actors Guild & American Federation of Television & Radio Artists (SAG-AFTRA). She is a youth mentor, motivational speaker and lends support to several local outreach organizations. In 2015, she was recognized at the inaugural “Girls in ICT” launch, also recognized that year as a nominee for the “Bahamian Icon Award”, in 2016 she was awarded by the Red Dress Soiree Committee as a “Leading Lady” and in 2019 awarded by Professional Services Bahamas as one of “25 Most Influential Bahamian Women in Business”. She is married to Mr. Peter Deveaux-Isaacs, Sr. and has a stepson, Peter Jr.
Mrs. Sandra L. Duncombe- Knowles was born on February 15th, 1970 and is the tenth child of thirteen children born to parents Rev. Rueben and Carmie Duncombe (Deceased) in Deep Creek, South Andros. She began her education at Deep Creek Primary, J. H. Major Junior High and South Andros Senior High Schools where she graduated and moved to the capital for gainful employment. From 1987 to 1996 she was employed at the South Ocean Beach Resort/Ramada Inn as a Human Resources Coordinator/Assistant Human Resources Manager. She has been employed at The Broadcasting Corporation of The Bahamas for over twenty-one (21) years and has held many positions within the Human Resources Department. On July 1, 2017, she was promoted to the position of Deputy General Manager (DGM) for the department. Mr. Darren R. Meadows is the Deputy General Manager (DGM)/Northern Service at The Broadcasting Corporation of the Bahamas. He is 48 years of age, married and has two beautiful daughters. Darren joined The BCB in 1990 as a production assistant and over the years functioned primarily as a Video Editor, Producer & Director of News and Special Projects. In 2017, he was promoted to DGM and transferred to headquarters in Nassau. He returned to Northern Service in January 2019. Darren oversees television production & programming, engineering, IT and a satellite station on the island of Freeport that covers The Northern Bahamas.Mr. Meadows obtained a diploma in Industrial Electronics from Lindsay Hopkins Technical Institute in Miami Florida, an Associate Degree in Business Administration from Bahamas Institute of Business & Technology and in 2018 commenced a Law Degree. Ms. Beverly M. Curry is the Deputy General Manager (DGM) with responsibility for the News Department. Her career started in 1983 as a Trainee Reporter. Professionally she has completed Journalism courses in Jamaica both at the then Jamaica Broadcasting Corporation (JB) where she also worked briefly and in Barbados; creative writing for Journalists archiving and a short stint in Guyana learning about Parliamentary procedures. Ms. Curry has produced many documentaries such as “BAMSI Feeding the Nation”, which received Special Mention from CBU, “Urban Renewal”, “The Sinking of the HMBS Flamingo” and “The Struggle to Majority Rule.” She is passionate about people and sharing their stories and talents. She is always in awe of the simplicity of the Bahamian people’s lives and the depth of their stories. She is the mother of three adult children. Motto: “Never allow the public to hear your problems, but always give the best you can and allow your internal problems to remain internal”. Mr. Colin Henry Arthur Trotman Jr. is the eldest son of the late Mr. Colin & Alma Trotman, Sr. He received his early education from Nassau Christian Academy, Oral Roberts University & Jamaica Broadcasting and MDI Management Training Institution. Mr. Trotman began his employment with The Broadcasting Corporation on August 15th, 1978. He has held various positions and is currently the AGM/ Television Production & Parliamentary Channel. Mr. Trotman was one of the trainers that were assigned to the establishment of our Northern Service Television Station. This ambitious gentleman has worked on various committees, including the National Emergency Management Agency (NEMA). He also played a pivotal role in major National events such as Commonwealth Heads of Government Meetings (CHOGM), National Independence Celebrations, State funerals, CARIFTA, and the Bio-Diversity Conference hosted by the Ministry of Health. He is responsible for all Technical Productions at The Broadcasting Corporation & Parliament. Mr. Trotman enjoys reading, traveling and meeting people and looks forward to the next chapter in his life. Mr. Keith F. Gomez is the Asst. General Manager (AGM)/ Operations and manages the following departments Engineering, Information Technology, Plant and Maintenance at the Broadcasting Corporation of The Bahamas. 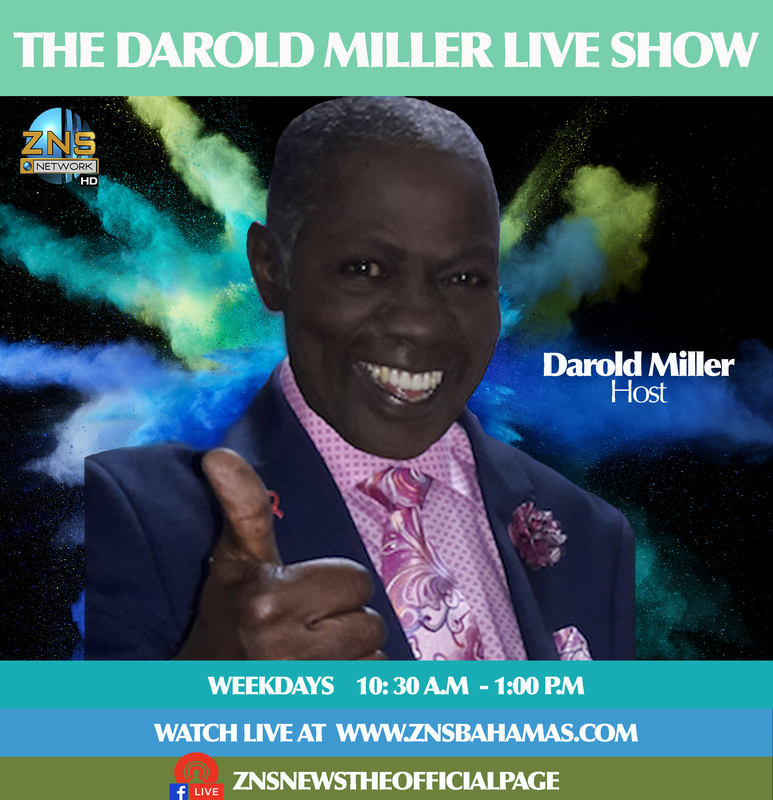 With over 30-years in the broadcasting field, his department maintains the digital television and radio operations and the transmitters that distribute these services to the Family Islands of The Bahamas. He started employment at the Corporation in October 1979 as a technician while attending the College of The Bahamas. As a technician at the Corporation, he has introduced computerization into the radio studio operation by replacing the analog tape machines with a digital file-based system, integrated with the radio traffic system. Engineered and integrated the Freeport local television channel on the cable network in Grand Bahama in 1990 and moved the operation from the Kipling Building to the Government Building, As the technical project supervisor, the radio operation was upgraded from analog tape machines to the automation computer system and the upgrade to High Definition TV service. As Deputy Director and Technical Project Manager, the TV station operation was upgraded to the first High Definition television studio system in the Caribbean in 2012. 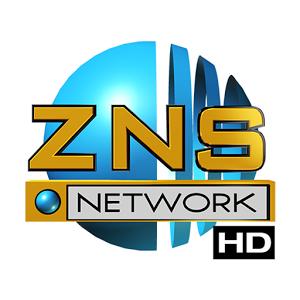 In 2017, as Director of Engineering Mr. Gomez launched the switchover from analog to digital with the implementation of a new digital HD television transmitter (Free to Air). In 2018, he was promoted to Assistant General Manager (AGM) and began the Northern Service upgrade to High Definition (HD) television in Freeport, Grand Bahama, which is due for completion in May, 2019. Mr. Gomez graduated from Aquinas College in Nassau, Bahamas in 1977 and furthered his study at the University of The Bahamas in Applied Science in Electronic graduating in 1983 with a Diploma. He received certifications from the Thomson Foundation in Advanced Television Engineer in 1992 and from the Media Corporation of Singapore sponsored by Singapore and Commonwealth Broadcasting Association (CBA) he studied Digital Broadcast Engineering. He attended conventions held by the National Association of Broadcasters (NAB) and the Society of Broadcast Engineers (SBE) in the United States of America to obtain information on the later technology and broadcast trends. Mr. Gomez is married to V. Elaine Gomez and they have a daughter Keitra.